Event registration opens Tuesday January 12th at 10:00AM Texas time. 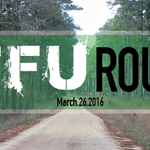 A true road and gravel grand fondo event. Something for everyone this course will not disappoint. 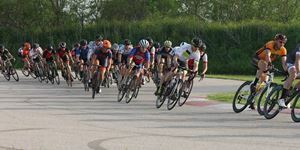 Open category ... moreformat with distance choice of 1, 2 or 3 laps. 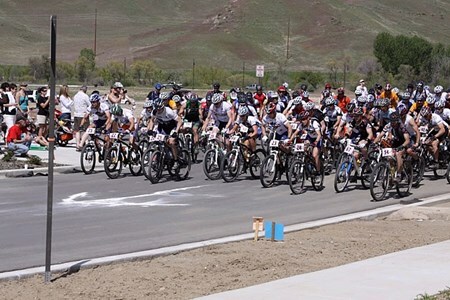 3 lap riders will be riding for cash top 5 men and women finishers. Each distance is limited to 100 rider fields. All races are $60. Pre-registration only. Early packet pickup location TBD. Don't have a usac license? No problem. We are including the 1-day fee in the ride entry for no additional charge. Neutral support at the start finish or each lap with sag car following lap 3. More information coming soon. 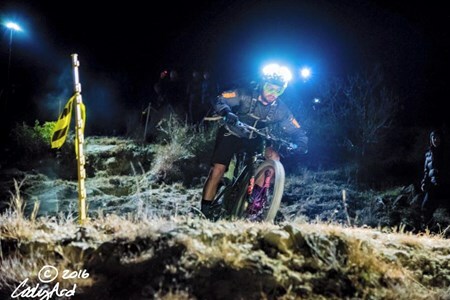 FOSSIL 50 & DINO ENDURO: THE 50 Challenge: Saturday March 26th, 2016 at 12:00PM Pre-race meeting/Staging 11:45a.m. 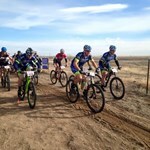 THE Enduro: Sunday March 27th, 2016 at 10:00AM Pre-race meeting/Staging ... more9:45a.m. The Party Presented by TrailLED high performance lighting. LONG jump, wheelie, 3 man relay. Fun for all ! (open to all). Then the Corn-Hole Tournament. 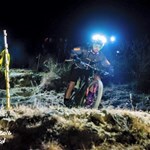 Kids MTB Short Track a fun event for little guys and gals. A mountain bike adventure that combines 34 miles of single track and 18 miles of scenic country roads. This is a technical and tactical route. Start is at Dinosaur Valley State Park with a tough Outer loop in the clockwise direction. Then a short and hilly path of FM roads to a fun lap at beautiful Solavaca Ranch. After completing that you will then take a longer more scenic route of FM roads back to Dinosaur Valley State Park for another tough loop. All miles are approximate and the exact route will have turn-by turn direction and mileage. This is a Rain or Shine event and route may be altered dependent on weather. Cut-off time will be at mile 38 and announced day of. Will be professionally timed and have splits to compare to friends. 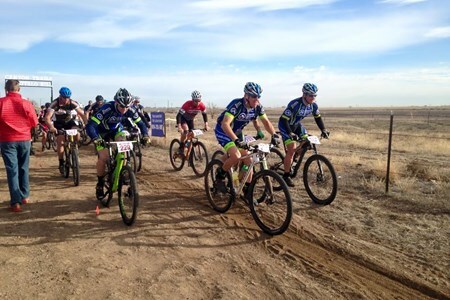 2 neutral aid stations will have mechanical support, water, and snacks. Aid station 1 will be at approximately mile 14 and mile 38. 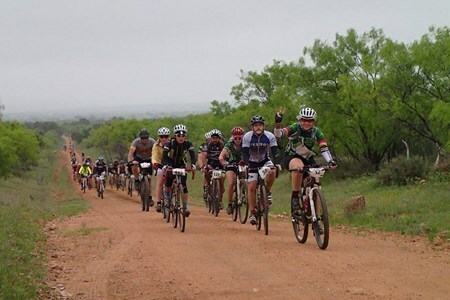 Leprechaun Lasso 2 - Hosted By West Texas/New Mexico - Gravel Grinder Series NEW 75 miles one big loop so be ready for the non stop mean green machine! 2k climbing 2 water crossings ... morelots or dirt roads, doubletrack and some sand pits. Short route 50 added mens and ladies classes on both! Winner gets a pot of GOLD…..chocolate. Wear green and get a special prize! 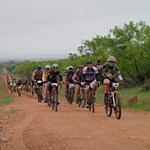 The Castell Grind is comprised of two separate endurance gravel races, the Full Grind 100K 3/4 Grind 72K Half Grind 50K. All races will begin in Castell following remote gravel roads ... morethrough the rolling Texas Hill Country in the middle of nowhere. You can expect amazing views, wildlife, cattle guards, minimal traffic, adventure and a gravel challenge worthy of bragging rights. The Castell Grind is whatever you want to of make it. If you've got a competitive spirit, let's see what you've got. Race the course as fast as your legs can turn and your heart can pump. Top 5 male and female in each distance will get awards. If you are just in it for the adventure and survival, no problem as long as you make the cut off. This is an endurance event, it will be very difficult. Do not over estimate your ability or underestimate the difficulty of the course. 90% of the course will be rolling hills on remote gravel roads in the middle of nowhere. 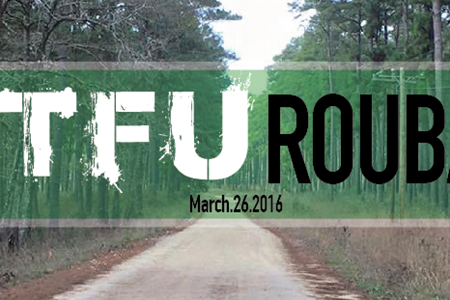 The rest of the course will be on lightly traveled rolling farm roads in the middle of nowhere. No single track on this course. The course is desolate except for the occasional farm house. The only refueling stop will be Castell. Ride what you got, just stay away from skinny road tires. They won't work out there. Cyclocross or mountain bikes will do great. 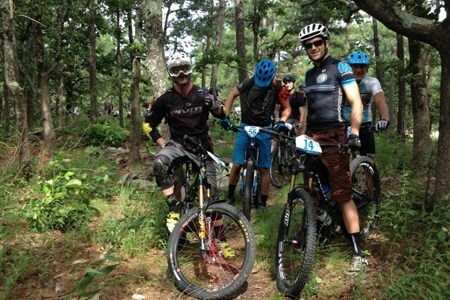 The best size tire for this course will be 34c or larger. The Full Grind will follow a figure 8 course intersecting through the center of Castell at the half way point. This will be a mandatory check point for all racers continuing on the 100K course. Racers may also use this as a refueling and support stop if they choose to. The Half Grind racers will complete the same north loop course as the Full Grind racers and finish their race in Castelle. The Full Grind racers will complete the south loop returning to Castell and the finish line. Post race festivities will take place at the Castell General Store. 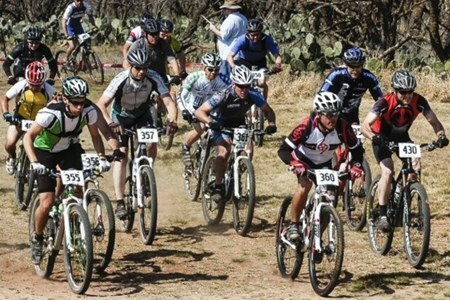 Come race the "Texas Alps" one of the most challenging courses in the Southwest. 2016 marks 30 years of racing in the desert. Register now online or register in person at The Bicycle Company. We've added some more fun: a kid's race, bike toss competition, ghost ... morebike challenge, a slow race, and a game of foot down! If you have any questions, feel free to give us a call at 915-544-2453. Est. in 1995, The Bicycle Company is locally owned and has been helping the cycling community stay equipped with the finest tuned bikes in El Paso. We carry all the latest products by the top brands in cycling. We offer full service and will professionally tune any type of bicycle you can imagine. Bent Wheel Bash in Abilene is coming up soon. We hope everyone is making plans to travel out to our neck of the woods! 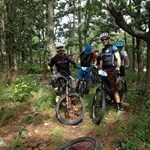 Come on out early if you can and check out the Specialized Demo ... moreVan. They will be set up at the venue on Saturday, April 2, from noon to 5 pm. They have a variety of bikes on their van that you will be able to test out. Come on out and see what they have to offer! This year, our food vendor will be set up on Saturday from 12-2 and on Sunday from 10:30-2. We are excited to have one of our local food trucks, The Toasted Traveler, come out for the event. You can check them out at http://www.abilenefoodtruck.com. Camping and RV spots are available – no reservations necessary. There are no hookups, but generators are allowed and showers are available. Propane grills are fine, but the Police Academy asks that there be no open fires. For those who haven’t been to Bent Wheel Bash before, Buck Creek Trails is right next to our local police academy, and the academy allows us to use their land and buildings for our start/finish, expo, and camping area. Of course, there is always the question of land access fees. We know that Abilene is a bit further for most people to drive, so we try to keep fees down. The land use fee is $10 PER CAR (not per person), so pack everyone in and carpool if you can! We only charge once, so if you come out on Friday, that $10 fee covers the whole weekend. Camping spots are $20 per site for one night or $30 for both nights. So, if you drive out on Friday and camp both nights, the most you will pay in land use/camping fees for one car is $40. The nice part (if there can be a nice part about paying fees) is that all the proceeds from Bent Wheel Bash go to our local police department. If camping isn’t your thing, but you need to spend the night somewhere, here is a list of some hotels close to the trails. There is a rather large country music event going on the same weekend, so if you need a hotel, call soon. We hope to see a bunch of you in Abilene soon! Sun Adventure Six Pack Race #1 Presented by Sun Adventure Sports Expert, Sport, Beginner and Junior classes and distances. All rider levels welcome! Free food and drinks after the ... morerace!